I'll be your host for the next 47 seconds. Starting at 9:36 p.m. EST Jan. 20, skywatchers will notice a “little notch is taken out of the moon,” according to Brian Murphy, director of Indiana’s Holcomb Observatory & Planetarium and Butler University professor. At 10:34 p.m., it moves into a partial eclipse, and starting at 11:41 p.m., the full eclipse begins; a maximum eclipse occurs at 12:12 a.m. Jan. 21. The total eclipse ends at 12:44 a.m.
Thirty-four years ago my Mom, Ernestine Justice Hinton, died of lymphoma at the end of days in a coma. Death cheats some people more than others. She has been dead more than half of my lifetime. I’m now older than she was when she died. I’m at a loss for a word to describe this. It’s not inconceivable, not really unbelievable, no longer unfair or unjust. It’s just un-Mom. It’s grief — interminable, but suppressible. Mom is preserved in memories unchanging except through erosion. There’s nothing I could say to someone who didn’t know her that would do her justice. For those of us who remember her, another year’s leaves don’t obscure the trunk of the tree fallen in the forest. She is remembered, which isn’t half as good as living, but all one can hope for in time. Ernestine Hinton loved all kinds of fabric. She frequented fabric stores, buying yards of cloth she liked, which she piled in an out-of-the-way corner solely to paw through, no specific project in mind. She loved sensual materials like satin, silk and velour. She loved color and was happy to put colors next to each other that some might call daring. When she remodeled the house — transformed it, really — she brought together golds, yellows, reds, greens, sage and Chinese lacquer, all unified by a carpet that might have pleased Jackson Pollack, a studiously patternless palette of color blotches that gave every first-time viewer pause. She wanted you to be comfortable but never complacent and she trusted you to know the difference. Ernestine was a natural hostess, welcoming everyone with such genuine charm. Out and about, she spoke to people most others ignore, extending courtesy to everyone equally. She worked to improve the lives of many and was outraged by those who did the opposite. She did not suffer fools. She would be appalled by what we’ve become. She preferred to be called Teen, but I could only call her Mom, or in occasional shock, Mother! And shock me, she did. She was her own woman and expected to be accepted as such. In conversation, she was alive and witty. She could turn a deft phrase to knock you off your feet and then pick you up and dust you off and make sure you were still OK. She was brilliant. Although Teen was a feminist role model before that concept emerged, she loved being a mother and loved children without reserve. There was nothing more important or valuable than nurturing children. We make our future by teaching our children and by loving them. Many people and events have shaped me; she did it first and gave the world what there is to work with. Today, Mom would be 99, though she wouldn’t admit it. That is, had she not been killed by cancer. That was the event that convinced me that if there were a god, I would hate him with all my being. Before she died, Mom told Mer she knew I’d be angry about her death for a long time. I’ll never stop being angry about that — she deserved a long life as much as anyone else — though I do better understand the burden of anger after all these years. Anger is a poor memorial. She deserves better. My Mom didn’t like having her picture taken and she lived long before the digital age (though she did advise me to get into computers, which, at the time, I rejected as soulless). These are scans of prints. Years ago, I read an article about a guy in his 90s who climbed a rock wall in the local gym each birthday. The message I got was “keep moving.” It’s a simple mantra. Today, I read about a race-walker in Australia who is 92 years old. The message repeats itself. [quote] When Democrat Kyrsten Sinema of Arizona was sworn into the U.S. Senate today, she placed her left hand on an Arizona “lawbook” (to use Getty’s terminology) instead of the Bible. It’s precisely what you’d expect from the only officially “Unaffiliated” member of the new Congress. I imagine Vice President Mike Pence, who administered the oath, died a little on the inside. [/quote] Huzzah! 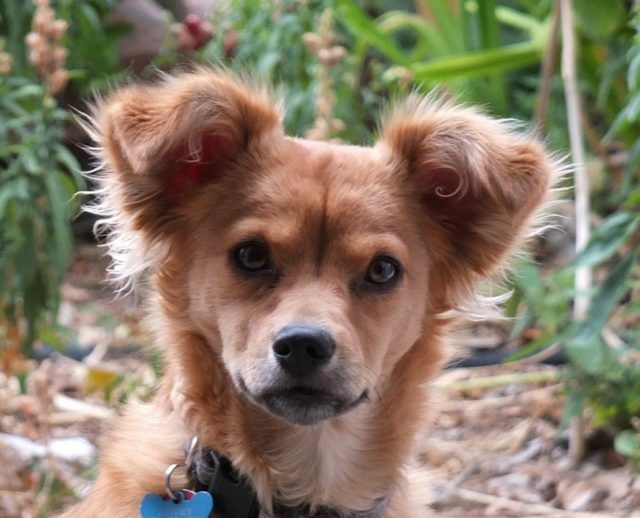 Five years ago today, Autumn returned to live with us permanently. Happy Return Day, dear Autumn. 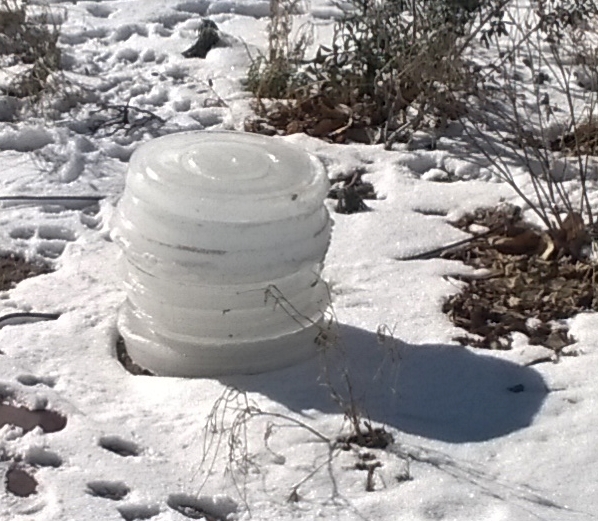 Consisting of layers of ice from a frozen birdbath, the Ice Totem indicates how many days Abq had been below freezing. Earth reaches perihelion, its closest point to the Sun in its annual circuit around our “day star”, on the 3rd at 12:20 am EST. At this time the center of the Earth will be 147,100,000 kilometers (91,400,000 miles) from the center of the Sun. The annual variation in our planet’s distance from the Sun is quite small, amounting to a change of around 3 percent between perihelion and aphelion. This is fortunate for us since it maintains a stable climate throughout the year. Of all of the major planets only Neptune has an orbit that is more nearly circular.